In 1988, Rap-A-Lot Records founder James Prince decided to invest his full budget and attention towards the Ghetto Boys, as he saw them as the most promising music-act on his label. After the criticism and commercial failure of the original group’s debut album “Making Trouble”, J. Prince felt that the Ghetto Boys, and ultimately “the Rap-A-Lot brand” needed to go in a different direction and so a line-up change was decided. Jukeboxx left the group while DJ Ready Red and Bushwick stayed on with Prince Johnny C stepping back into a production based role. Prince felt that the original groups rapping styles where too similar to artists from New York and this was something he wanted to move away from in favour of a more hard edged sound. 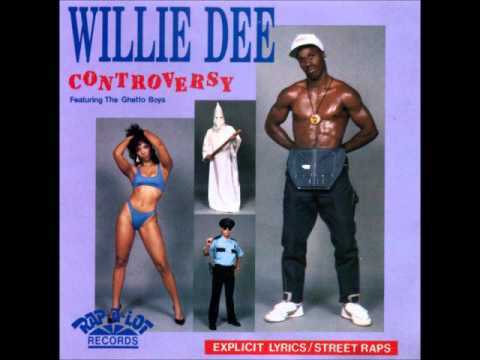 Willie D (known then as Willie Dee), was already signed to Rap-A-Lot as a solo artist, but was added to the group at the request of J Prince. Willie would later reveal that he was initially reluctant to join the fold as he wanted to make a solo album. Willie did eventually get his wish, releasing his debut album Controversy in December of 1989. Controversy contains an original version of “Do It Like it G.O,” featuring Prince Johnny C and Sire Jukeboxx. It was later re-recorded and featured on the Geto Boys’ 1989 album, Grip It! On That Other Level, with Scarface and Bushwick Bill replacing the lines of Johnny C and Jukeboxx. Controversy is somewhat of a Rap-A-Lot collectors item. The very first pressings are extremely rare and can be identified by the slight title text differences on the albums cover. The original reads: “Featuring The Ghetto Boys” while the reissue has the more well known “Geto Boys” spelling. However the reissues are still pretty rare and fetch a decent price.